I've been thinking about this post ever since John and I took a trip to Chicago for a little mini getaway. We ate a fabulous meal at Adobo Grill before heading to an awesome sketch comedy show at Second City. I had a great Tlayuda (Mexican Pizza) - I recreated in a lightened-up version here - but it was massive. John and I could have easily split it and been completely full. Problem was, it was sooo darn tasty that I wanted to keep eating it, even though my stomach was screaming, "digestion time, please!" So I shared some with John and then stared longingly at the two remaining pieces. Once we left the restaurant, I completely forgot about them and was so glad I decided not to eat the rest of my food. Yes I wanted them because they were tasty. But I really was full, and I felt good about my decision to not overdo it. As I've worked at being healthier by eating better and incorporating exercise into my routine, I've enjoyed seeing the results and feeling them too. Did I see them as quickly as I wanted to? Absolutely not. In fact I was pretty discouraged the first month because I didn't think there was a difference. So I made some changes. I added consistent strength training to my cardio routine, and I started managing my portions better. Studies show we're programmed to think we need to finish everything on our plates. Be it from childhood and being told to eat everything before you could leave the table, or from a biological survival reaction. But the thing is...We're not bears. We don't hibernate. We don't need to eat as if we're not going to see food for six months. Listening to your stomach requires more thought - and time. Eating slower and starting with smaller portions can help you judge how hungry you actually are. Give your body the time it needs to determine if it wants or needs the food. 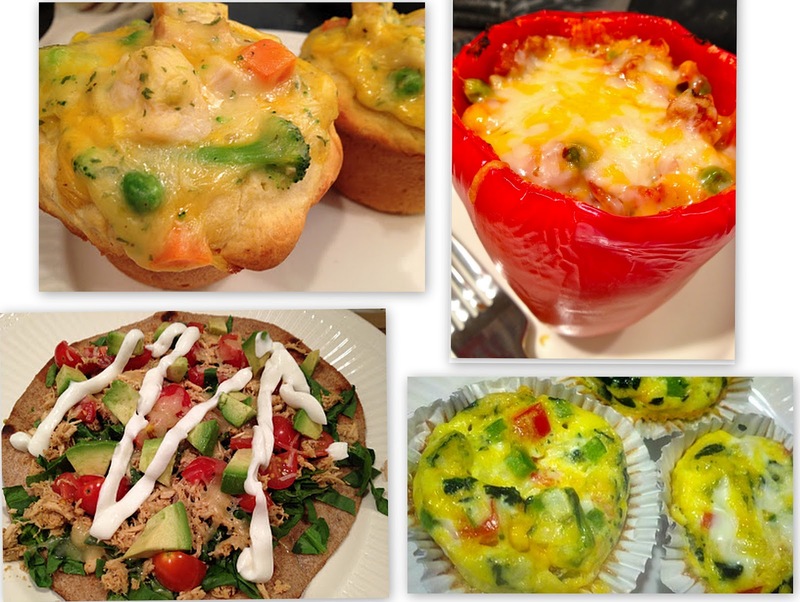 One strategy that has truly helped me to achieve the difficult task of portion control? 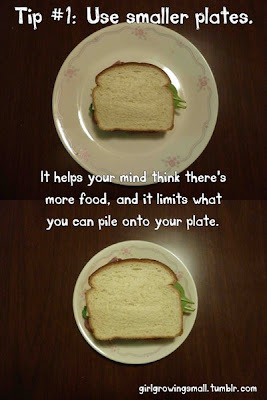 Using a smaller plate. It sounds so simple, but it really works! Instead of using our large plates and filling it, I use our small side plates (see above picture). That way, I can fill up the plate and feel like I'm not scrimping on food. It was frustrating to look at a half full large plate, or fill it with too much food and eat it all. Something equally important is recognizing that one serving may not be what is staring back at you. Take chicken breasts for example. They are huge nowadays! One serving of a chicken breast should be the size of a deck of cards. When was the last time your chicken breast was that size? I bet it's close to twice that size. When that's the case for me, I start with half the chicken breast and eat all my veggies before deciding if I really need the rest or if I just want it. So, my hopes are that with this post you're inspired to see portion sizes as a tool to help you live your best life, not as something to be disappointed in. 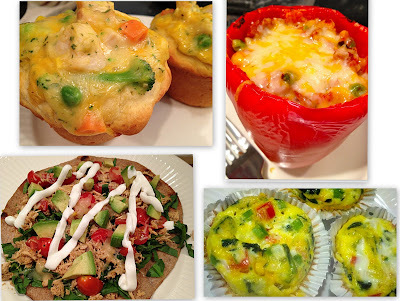 In honor of that, I've linked up easy recipes that are great for helping with portion sizes. Happy - and healthy! - eating! love this post Lauren, its so true! Thanks, Jourdan! I had fun writing this and researching some studies, too!